Consulting Research Groups in Social Research for Anthropology and Sociology specifically on food insecurity, intergenerational studies, localizing disaster response, health (HIV and communicable diseases), and cultural tourism. 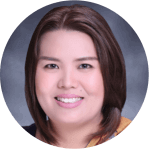 I have been a MAXQDA user since 2010 as a research associate of the university working on projects funded by the UNDP, Philippine Government, and other academic institutions. My training is in the field of anthropology and sociology. I have started delivering trainings in the Philippines in 2013 to students and faculty members. I specifically tie up my MAXQDA training with that of Grounded Theory Approach being trained by the Grounded Theory Institute. Gonzalez, M. C. A. (2013). Positibo: Achieving Well-Being Among Young People Living With Hiv in Cebu City. Aghamtao, 22, 22–39.